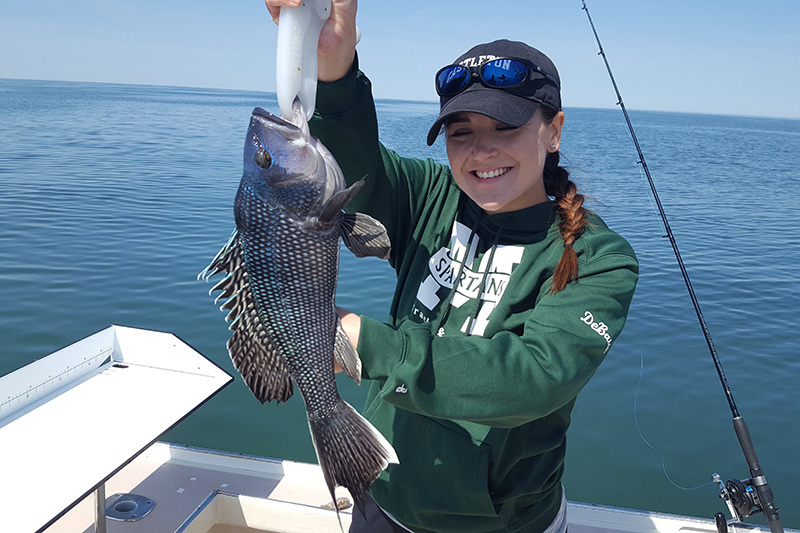 We have decades of experience fishing in the ocean off the shores of Connecticut! Come charter with the experts! Capt. Mike father of three boys and elected officer of the Connecticut Charter and Party Boat Association has over 30 years of fishing experience. He has professionally run vessels as a licensed captain for nearly 20 years. Capt. 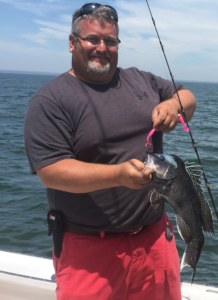 Mike feels completely at home fishing Long Island Sound to the deep canyons far offshore. 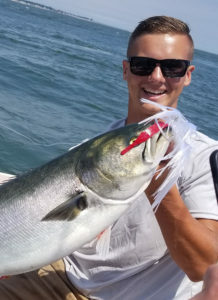 He specializes in shallow water trolling for large Striped Bass and powerful Bluefish. 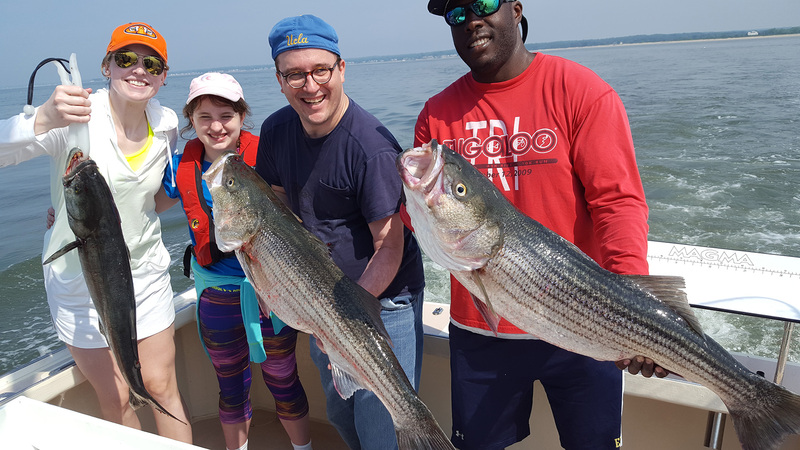 At age 10, he caught his first trophy Striped Bass weighing 42lbs. Capt. Mike prides himself for being known as a safety fanatic. Capt. Matt Joined the FlyingConnie Team in 2014. Since he has 150 days a year fishing everywhere from offshore ocean waters for tuna and shark to frozen lakes, ice fishing. Matt is third generation outdoorsman / Eagle Scout fishing and hunting runs through his veins. Matt’s best two attributes are the excitement he has for teaching kids and new anglers and his safety-first mindset. Matt in addition to being USCG licensed as Operator of an Uninspected Passenger Vessel, graduated college with a degree in environmental engineer, and currently is commissioned in the Army Reserves. Ed came to FlyingConnie in 2015. Having lived his whole life on the shoreline, Ed clams, fishes, or hunts nearly everyday. He has fished commercially for lobsters and fin fish. 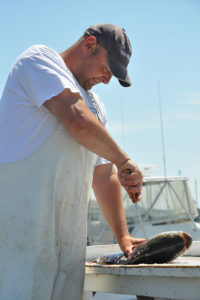 Ed currently manages Guilford recreational clam beds. Having spent so many days at sea Ed has a calm and very interesting personality. Ed is known for a fish saying or a fun story for everything that occurs on board. Quint joined Flyingconnie the spring of 2018. When becoming a FlyingConnie mate It usually takes an extended training period, but Quint came to us molded by his father with sharp skills already in place. What else would you expect form a dad that names his first son “Quint”. Quint is excellent teaching young anglers and is very enthusiastic for the sport of fishing. We look forward to many years ahead with Quint working the FlyingConnie deck. DOWN AT THE CLINTON DOCKS, one cannot say, ‘I chartered Mike for Thursday,’ because there are three Mikes who charter: Pirri (aboard the Flying Connie), Deskin (Destiny) and Marro (Blue Fin). This is the story of the first two. We’ll catch up with Mike Marro in an upcoming issue. By the way, depending on what you want to catch, all three captains are among the best at their trade. Docked at Cedar Island Marina, Flying Connie is sleek, almost 30 feet, comfortable and reminds one of the boats seen on “Wicked Tuna.” He called me the other day to go along with him and his mate Ethan Pace (with Mike now for four straight years and a perfect complement to the captain) on a “scouting run,” just to make sure fish were there for the next day’s charter. We concentrated on two methods: trolling and bucktailing, and both proved effective. “I like to give the customer a variety of methods (the third would be using bait and the fourth would be casting plugs). If the tide’s not running, we troll; if it’s moving fast, we’ll bucktail; if it’s in between, we use bait. Capt. Mike Pirri and Capt. Mike Deskin are both Shimano reps, and they use the latest Shimano equipment. They have fished together in the past, and the story will serve as a perfect transition to the second Mike. Both told me this story. “We were east of Block (Island). On the way, a dragger had just crossed our path, and we managed to scoop just enough of the overflow (whiting was the hook bait they eventually used) — it just seemed everything was working that day. We arrived at the “spot” and as Capt. Deskin was paying out the line (they were chunking anchored, not trolling) when the monster hit,” said Pirri. 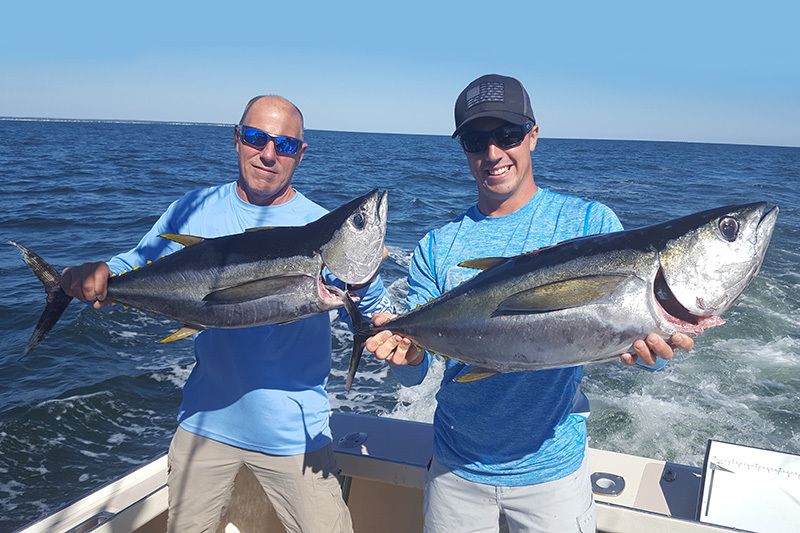 “I had the fish 20 feet down at the side of the boat, and Mike threw the harpoon and in one shot nailed the giant tuna in the gill plate. It weighed 690 pounds and at the time was the highest-priced fish at 19,000!” In less than 24 hours, it was on its way to Japan in a “tuna coffin,” said Pirri. Deskin’s new boat Destiny is 38 feet of comfort and flies along at 18 knots. If you ever tune in to “Wicked Tuna,” in which he was asked to participate, you’ll see the prototypes of Destiny. I’ve fished several times with Mike; the last time his daughter, Carlen, was the mate and knew exactly what to do before Dad said anything. Also helping out on occasions is his younger daughter Laura, and sometimes Mom (Kerstyn) pitches in to make this a family endeavor. 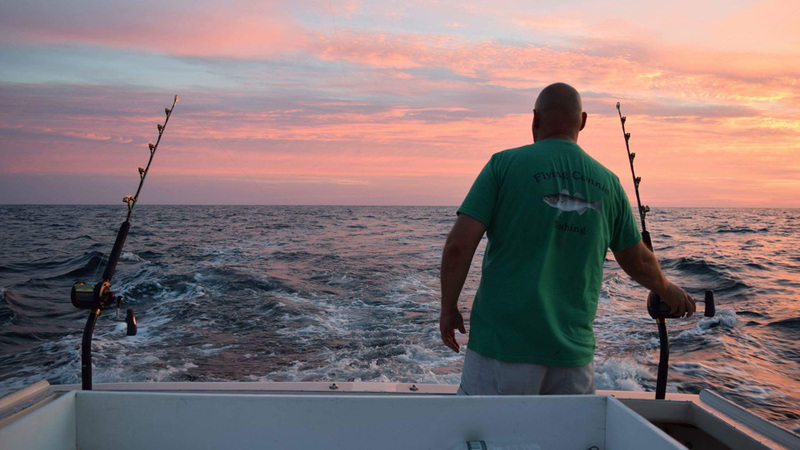 Needless to say, all the mates know a thing or two about fishing, getting the gear ready, and making sure that whoever charters Destiny comes away with a successful trip. It looked as if Capt. Deskin had had enough of my questioning, and the last comment, even though it might have been directed at me, wraps up this story nicely: “I’d rather have someone on board who knows little about fishing, one with an open mind — not someone who thinks he knows it all.” He couldn’t possibly have meant me. 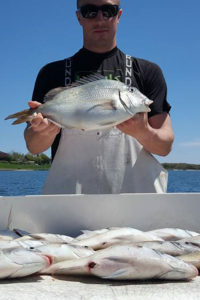 Dan Mulvey is a freelance writer, local mixologist and angler.